A long awaited, reasonably priced solution for 3G/HD/SD-SDI test and monitoring applications, our new LV5770 Multi-Monitor simultaneously monitors two 3G/HD/SD-SDI sources and displays picture, waveform, vector, 5-Bar, Cinelite and status individually or in various screen combinations. Optional digital and analog audio I/O provides for built-in de-embed and digital to analog audio conversion. 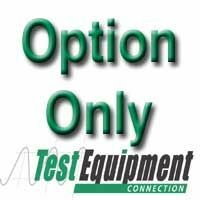 Eye pattern monitoring and composite input options round out this very affordable test solution. Accepts Two 3G/HD/SD-SDI Sources And Provides Picture, Waveform, Vector, CINELITE, 5-Bar and Status Displays Individually and In Various Screen Combinations. Built-In XGA Display (1024 x 768) For Superb, Crisp Waveforms And Picture Representations. Autonomous Monitoring & Error Detection; Alarm For Audio Silence/Video Freeze & Video Black. Ethernet Connectivity Allows For Remote Control Over The Web; Supports TELNET, FTP and SNMP. Platform Can Monitor And Display Two Sources At The Same Time In Two or Four Split Screen Displays. Supports Options Including Data Analysis, Physical Layer Testing with Eye Pattern And Can Be Updated As Needed. Universal AC Power Supply Allows For World-Wide Use.